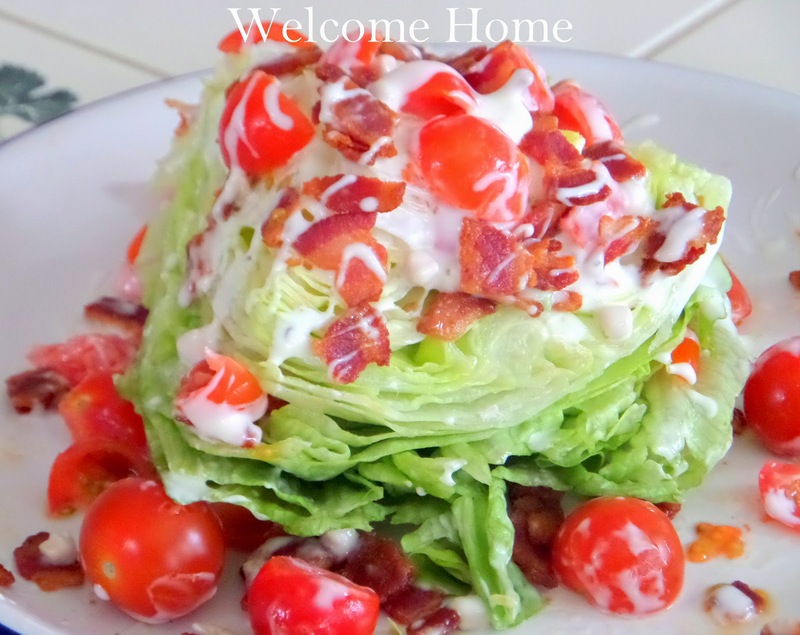 I love lettuce wedges instead of your traditional salad. 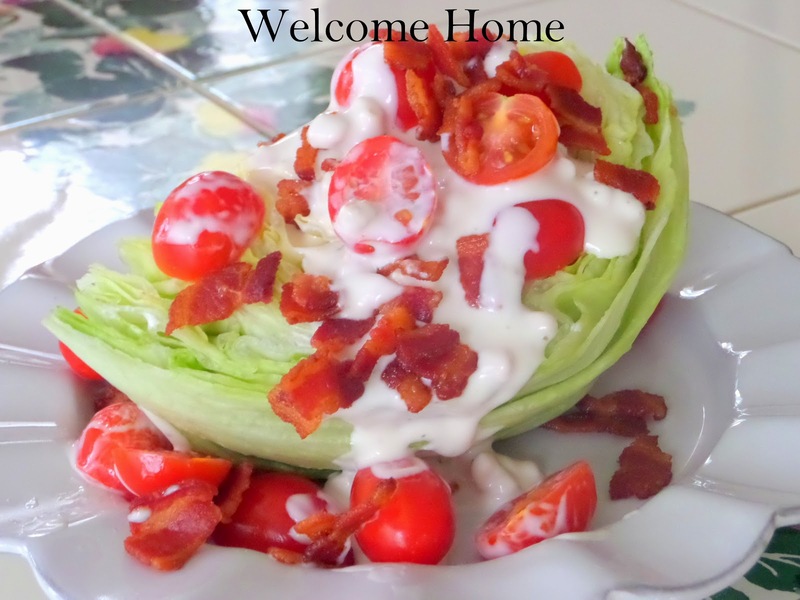 Okay, I know they all taste the same....but there is something about a wedge of cold crisp iceberg lettuce with homemade creamy blue cheese dressing and sweet little ripe cherry tomatoes with warm crunchy fried bacon on top. 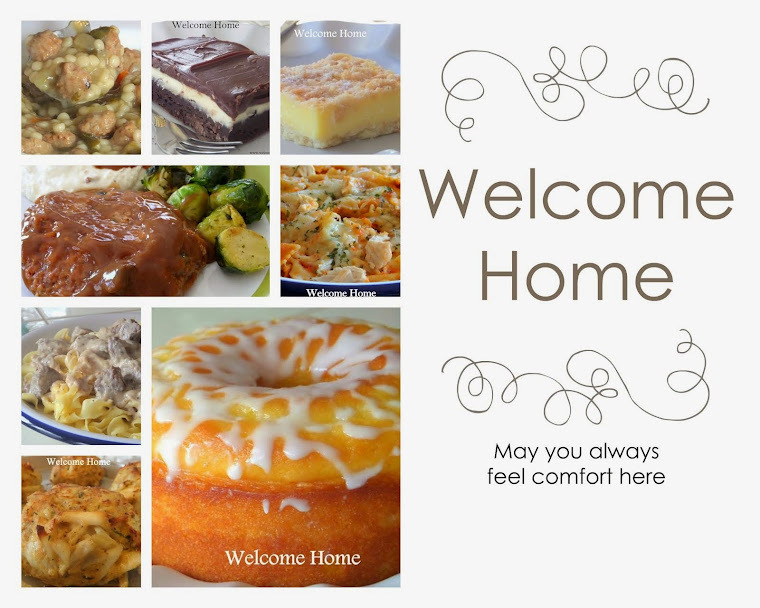 Did that just make you hungry? In a medium mixing bowl, combine the lemon juice, mayonnaise, buttermilk, sour cream, garlic powder and onion powder. Whisk the mixture together until smooth. Add the cheese and mix just until blended. Chill in an airtight container in the refrigerator at least 2 hours before serving. 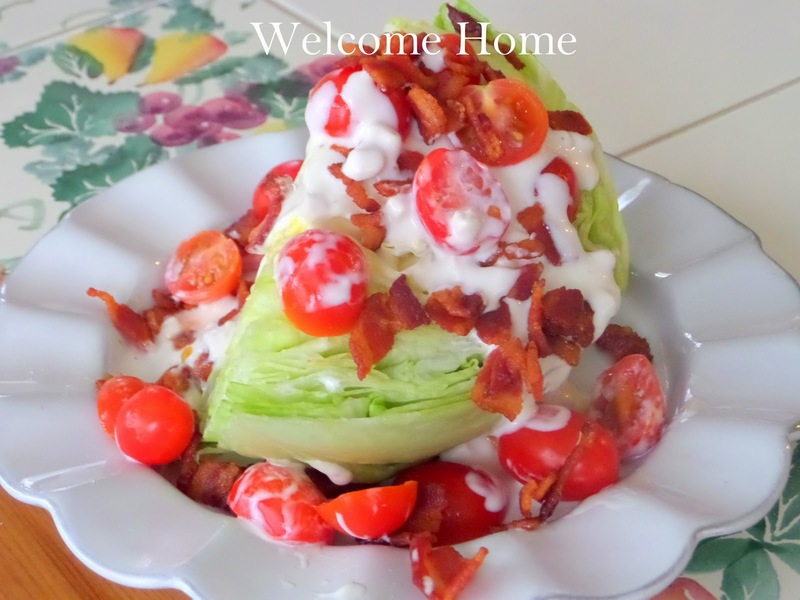 Serve a generous amount of dressing over each lettuce wedge and top with the bacon and tomato. Season with salt and pepper. Thanks so much. This was so tasty and the dressing was great.